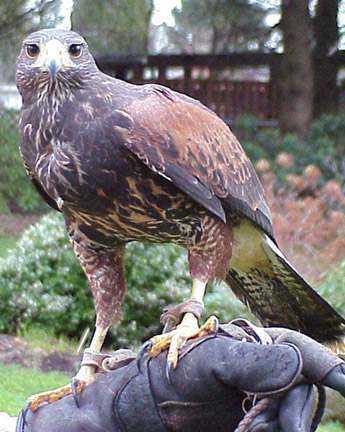 Harris' hawks are only true social raptor in hunting.. This particular line of Harris' have shown their potential in the field. The Harris' has no limitations, a true hunting partner. 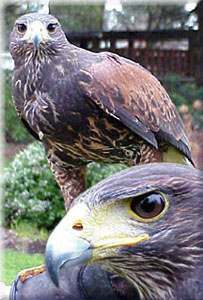 My breeding pair of Harris Hawks have produced extraordinary dark immature plumage youngsters. Click for more detailed picture.